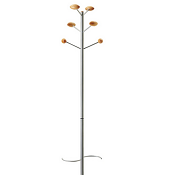 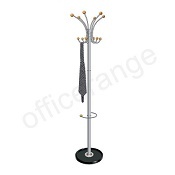 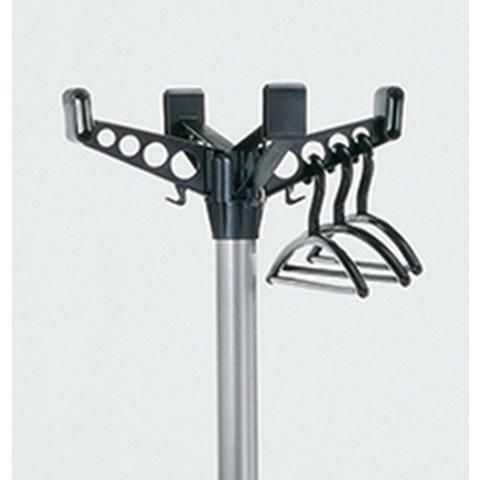 Distinctive hat and coat stand with black perforated top detail.With umbrella ring. 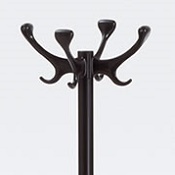 Coat stand stem in powder coated steel. 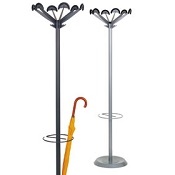 Head, umbrella ring and drip tray in high tech polymer.